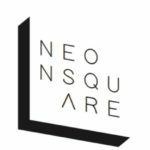 Neon Square is a boutique sales and marketing agency with over 15 years of experience supporting owner operated organisations build revenue and growth. Our consultants are from senior sales and marketing backgrounds with experience building start-ups to growing mid-range, high-performance corporations. We also have an extensive network of technical talent to serve you in the expansive, ever confusing digital and mobile economy. We will tailor our engagement with you in line with your ambition or budget, from one off projects to longer term support of your customer acquisition, development and retention. As a business owner we also understand your need for work-life balance, building your life-style and generally working smarter and not harder. Naturally hands-on, Neon Square consultants will work closely with you and your team to identify areas of improvement. Our core goal is to drive measurable results with revenue generating initiatives. Most importantly before we engage you as a new Client we like to meet face to face to discuss your company and understand the bigger picture. We have found that a great place to start is how your approach to market, lead generation, sales conversion, service delivery and client retention. We are exited to hear about your business model, brand, real life and digital presence, and seek to identify areas where we can make a difference to your bottom line profitability. Please feel free to contact us for an informal and confidential chat, we are located in London & Ibiza for now.